All GERONIMO FOREST homes currently listed for sale in San Antonio as of 04/24/2019 are shown below. You can change the search criteria at any time by pressing the 'Change Search' button below. 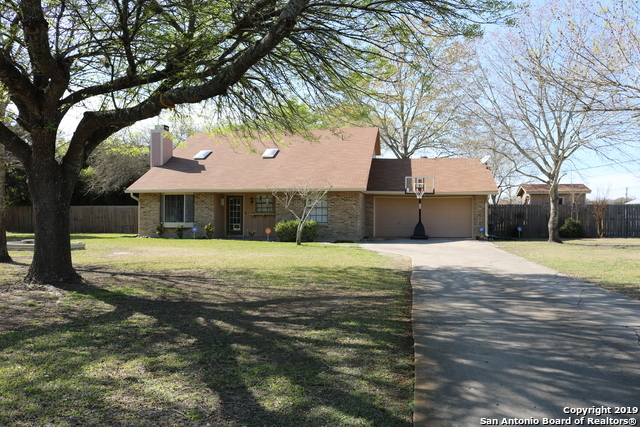 "Beautiful home on a 1.18 acres with many mature trees. Enjoy the privacy of this spacious home with an additional upstairs loft that can be a fourth bedroom or study room. Recently remodeled, everything new, (carpet, floors ,ac, roof, oversized walk in closet in master bedroom and custom cabinets and counters)"
"Character House. 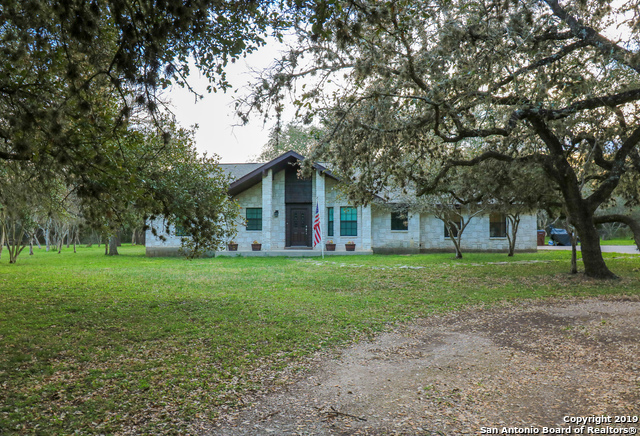 Fenced & gated 1+ acre property w mature Oak & Elm trees & Government Canyon State Park as your back neighbor. The one-owner home, meticulously maintained, well-built & well-loved, features an open floor plan w 3 bedrooms, 2 baths, 2 living areas & an open kitchen w granite & stainless appliances. The master retreat offers relaxing space w a walk-in shower & separate tub & large walk-in closet. Indoor and outdoor storage. The lot provides endless outdoor opportunities. No carpe"
"Welcome to your new amazing private home sitting in 1.5 acres with no HOA fees. Updated bathrooms, no carpet and bonus room are just a few items this house has to offer. If you enjoy entertaining outdoors this is a definite must see with a custom gazebo with brick oven and bar. The rest of the level yard is not plain land as you have your own herb garden, fruit trees and large workshop/Casita with 1/2 bathroom that can easily become a guest suite." "Cozy 3/2/2.5-1616 sq.ft. country home, on .96 acres in the peaceful Geronimo Forest subdivision, just a short drive from 1604. Comfortable family floor plan. Offers areas for entertaining and family relaxation-large family room, master bedroom downstairs, secondary bedrooms upstairs all with walk in closets, jack and jill bathroom, renovated master bath/half bath. Vast fenced in backyard, perfect for large family gatherings or to park the grown up toys-Boats, RV, Trailers etc. Reasonable annual "